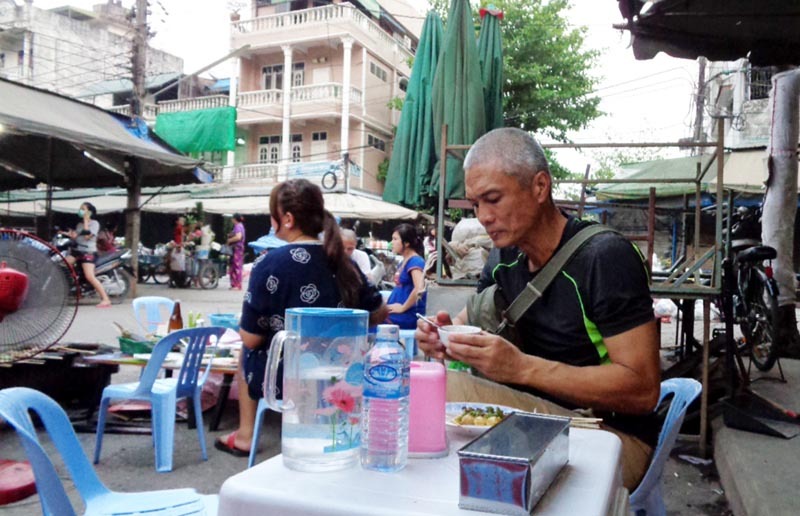 The Mae Sai (Thailand) - Tachileik (Myanmar) border is at the northern-most tip of Thailand, close to the Golden Triangle where the borders of Laos, Myanmar and Thailand meet. Crossing it is perhaps the weirdest border I ever crossed. It is an official border that does not register on the radar - because you can cross it w/o your passport being stamped (before). Standard border rules do not apply here. It's like the Twilight Zone of all border crossings. Having been aggravated by border crossings, I did my research this time. 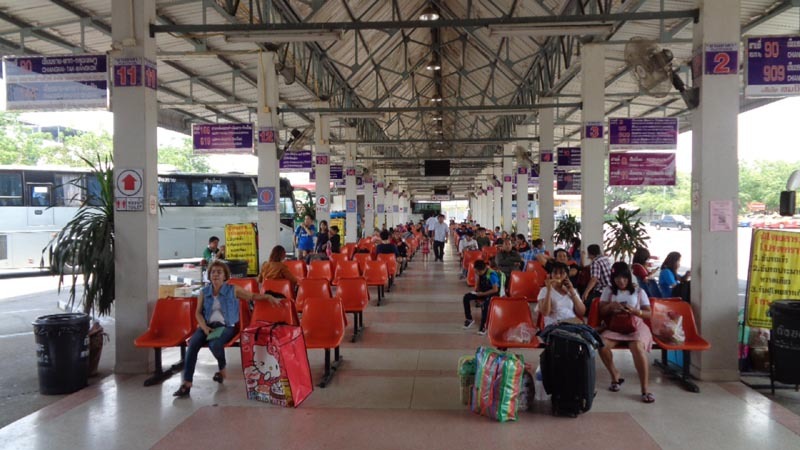 I was able to buy a bus ticket at the Green Bus ticket office within the Old City instead of riding the red taxi to the Arcade Bus Terminal 3 in Chiang Mai. Giving myself a little comfort, I chose to add B100 in order to get the wider VIP seats on the air-conditioned bus. I even prepared for the cold overhead a/c so I brought my hiking hat with me. 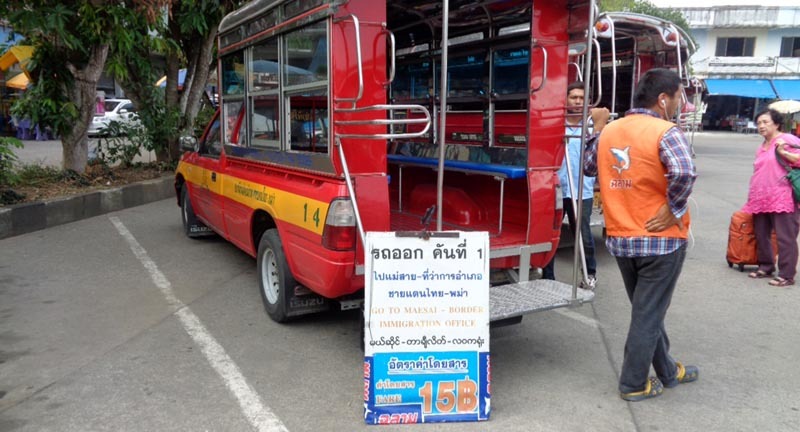 At Mae Sai, I knew how to get to the red taxi to get to the border, paying the fixed B15. All that convenience made the half-day research worth its while. I thought this was the most painless border crossing yet. But my research didn't prepare me for what's to happen next. Upon surrendering my passport to the Thai Immigration, something hit a snag. A supervisor was called upon to review my case. What case? I was departing on the day my visa was expiring. I wasn't overstaying, and I never did. The supervisor said I was doing a visa run and it was unacceptable. He said I maxed-out my stay and now I was leaving the border to come back and have another set of 14 days. I argued that I stayed 14 days because I was allowed 14 days! Where was the violation? I also said that it won't be a visa-run because I wouldn't be coming back to Thailand the same day or the following day - I was going to max-out the 14 days I will be given in Myanmar. I told him that I keep coming back to Thailand because they have a beautiful country (and I was telling him the truth) - what's wrong with that? He would only repeat himself that I was doing a visa run and that I should show proof of onward flight! I said I haven't decided where to go from Thailand after I return, let alone show proof of onward flight. 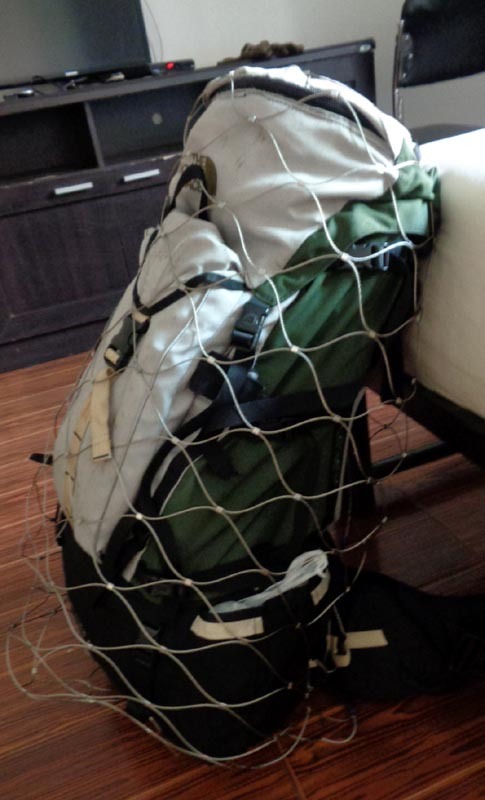 He further stressed that I should have applied for a proper tourist visa, instead of a transit visa-on-arrival. We reached an impasse. What he was telling me was contrary to the research I've done (apparently, the rules have changed again). The only way he would allow me to exit was to show proof of an onward flight. Unplanned, I had to book a return flight to somewhere. I looked for a cafe with wifi to book a flight and later had to search for a printing shop to print the flight booking. I was pressed against time since the border would close at 5pm. 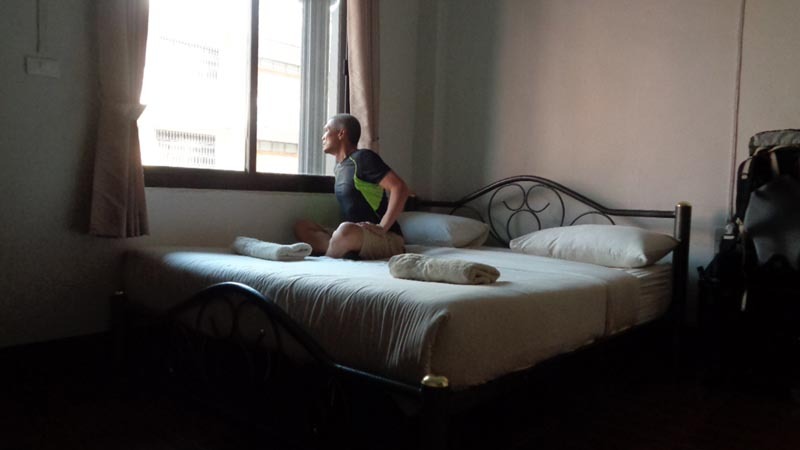 I didn't want to have to spend a night in Mae Sai. Luckily, I had everything accomplished. The Immigration Supervisor thank me for my effort. He was a smart guy and realized how illogical the situation was. But his hands were also tied - policy is policy. He said the law has always been there but not enforced until last year after an explosion rocked Bangkok! I was finally allowed to exit and cross the bridge separating Thailand from Myanmar. It was another challenge dealing with Myanmar Immigration. It seemed everybody was uptight on this border crossing. Myanmar Immigration told me that upon entering the country, my travel is restricted to Tachileik and Kengtung only - I could not go beyond. Furthermore, my only exit point was the same border. They kept my passport and issued me an "Entry Permit" card. I would have to surrender this permit card upon my exit from Myanmar in order to get my passport back. In addition, they demanded payment of B500. I protested, citing Asean agreement, that citizens of member countries are exempt from paying visa fees. They just ignored me. It was "pay" or "stay in Thailand". I paid. With that, I was able to enter the country. 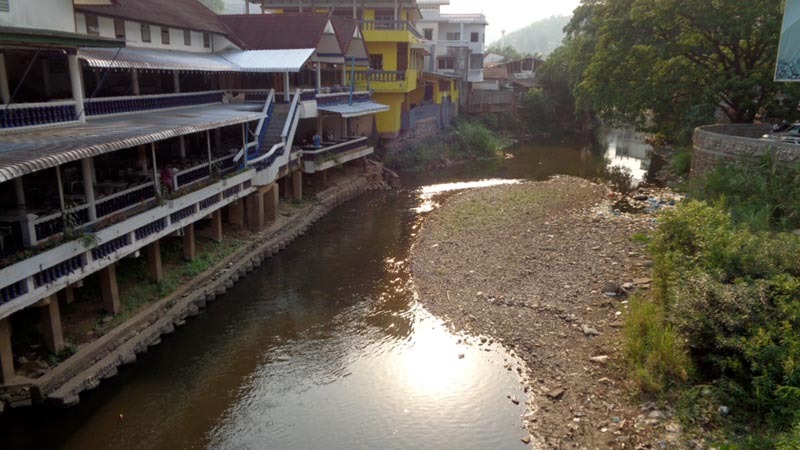 2 days later, I learned that there was an additional $3/day fee for staying in Tachileik! usually, immigration officers don't give you a hard time if you are leaving the country within your visa permit. In this border, Thai Immigration questioned why I maximized my legal stay of 14 days in Thailand, even though I was allowed because that is what they gave me! I asked them to point out exactly what my violation was since I have not broken any law. They considered it a visa-run and therefore, suspect. I told them it wasn't a visa run because I would stay 14 days in Myanmar before I return to Thailand. It was no use. Thai Immigration was very strict about my onward flight on the way back to this border from Tachileik. They required an onward flight. I had to book mine on the spot to gain exit! instead of stamping your passport upon entry, you have to leave them your passport. You are given an "Entry Permit" stating the number of days you can stay in Myanmar. You present this permit upon exit from Myanmar to get your visa. This applies even if you are from an Asean member country. when you enter this border, you are only allowed to go to two areas in Myanmar - Tachileik and Kengtung. No travel outside these two places are allowed. my research on the internet said Myanmar Immigration levies a Ryat 10,000 for every day of stay in Tachileik. I went to Immigration to confirm this and was told the levy was only $3/day. My hotel also confirmed it's a $3/day levy. However, upon exit, they didn't ask me for any payment for the 2 days I stayed in Tachileik! Weird. Despite my research, my assumptions didn't hold up. According to some Thais and Burmese I talked to, the rules keep changing, even they get confused sometimes. To me, when crossing a border, always expect the unexpected. At least, I was able to leave Thailand on time and got to cross the border. Now, I'm also curious what Tachileik holds for me. (Apr 26, 2016) Interesting to read your border experience. Seems the bombing in 2015 central Bangkok at the Hindu temple by foreigners was cause of all these changes. You know you would be the IDEAL WRITER for Lonely Planet, Rough Guide or similar non traditional guidebooks...have you ever been approached? avoiding scams - as a general rule, I ignore the touts or anyone I don't know who call out to me. The calling comes in many forms - "Hi! Where are you from? ", "Excuse me! Excuse me! ", "Where are you going?". I don't look them in the eye and I remain non-verbal with them. If you reply to them, you just gave them an 'in' to hound you. In order not to look rude, I smile and wave the 'not interested' hand to them, without looking at them. power bank - hand-carry your power bank. Do not check it in. You can be called in when you are already inside the plane to go all the way to the loading dock so you can personally remove the power bank...and chances are, you'll have to surrender it to them. And you might delay the plane departure!